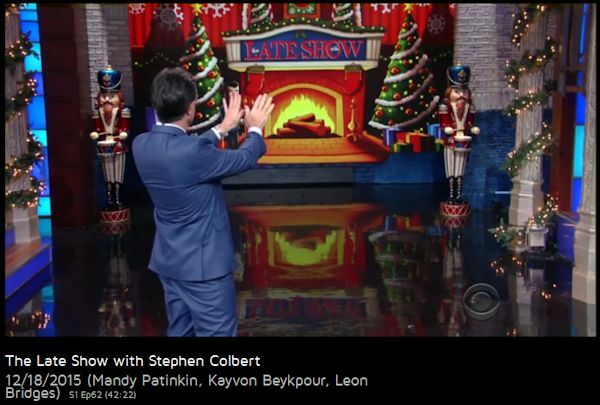 During the opening monologue on his Late Show with Stephen Colbert on Friday December 18, the host ‘warmed’ his hands using the ‘heat’ from an on-set hearth and fire. [By the way, join our ISPR Members Facebook group for more unusual and interesting presence items; details are here. This entry was posted in Presence Pictures. Bookmark the permalink. Trackbacks are closed, but you can post a comment.